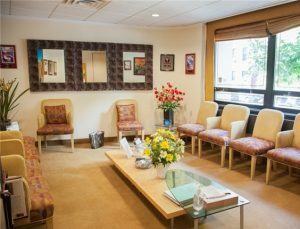 We consider it a privilege to invite you to our state-of-the-art Manhattan LASIK center to evaluate your eyes for LASIK surgery. The evaluation process is vital to the success of your procedure and will take approximately an hour and a half. The evaluation will include a LASIK screening, a thorough medical eye examination and personal consultation with Dr. Mandel, as well as a LASIK counseling session with one of our laser vision correction consultants. After completing your evaluation paperwork, one of our laser consultants will greet you in the waiting room and bring you to the testing area. Our screening process begins with an advanced topographical analysis of your corneas followed by the most state of the art Wavefront imaging. The topography is an indirect representation of a patient’s cornea. The Wavefront analysis measures the speed of photons reflecting from the patient’s retina. This is followed by an advanced corneal analysis system called the Pentacam. The Pentacam analyzes 25,000 spots on your cornea, in 2 seconds, with the aid of 2 rotating Scheimpflug cameras. Minute corneal elevations and corneal thickness are analyzed to help determine your candidacy. In addition, your pupil size will be tested using infrared technology. The prescription in your glasses will be measured and you will be brought to an exam room to begin your evaluation. Next, you will meet your LASIK surgeon, Dr. Eric Mandel, at his Manhattan LASIK center. He will perform a very thorough medical eye examination, evaluate your candidacy for LASIK surgery and answer any questions you have about your eyes or the LASIK surgery. Remember, there are no silly questions! If your question is important to you, it is important to Dr. Mandel. Dr. Mandel will review all of the LASIK screening tests, personally examine your eyes by a slit lamp microscope, and perform a retinal examination after dilation. After Dr. Mandel examines your eyes, he will explain the results of your LASIK screening tests and counsel you regarding your individual vision needs. 1.) You are a candidate for LASIK. 2.) You did not pass the screening tests and are not a candidate for LASIK*. 3.) You need to return for further testing after you leave your contact lenses out for a longer period of time and lubricate your eyes with artificial tears and/or lubricating ointment, daily. *If this is the case, you will then be evaluated to see if you are an acceptable candidate for the alternative laser vision correction procedure, PRK. If you are accepted as a candidate, Dr. Mandel will speak with you about the LASIK surgery, including the risks, complications, and alternatives to consider. After Dr. Mandel’s informed consent of the procedure, you will have another opportunity to ask him any questions you might have. 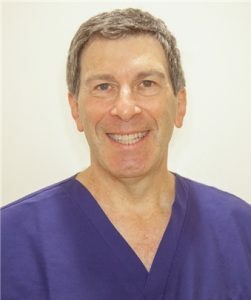 Click here to find out why so many patients, from all over the world, choose New York LASIK surgeon, Dr. Eric Mandel for their LASIK surgery. Your next step is to meet with your personal laser vision correction consultant, who will counsel you on your LASIK experience from start to finish. Soft contact lens wearers need to refrain from wearing their lenses for approximately two weeks prior to surgery, while toric, gas permeable, and hard contact lens wearers should not wear their contacts for approximately three weeks. Your personal laser consultant will give you his or her card so that you will always have a personal contact in the office for any non-medical questions. All of your medical questions will be addressed personally by your expert LASIK surgeon, Dr. Mandel. You are encouraged to call our New York office, at 888-866-3681, if you have any questions.